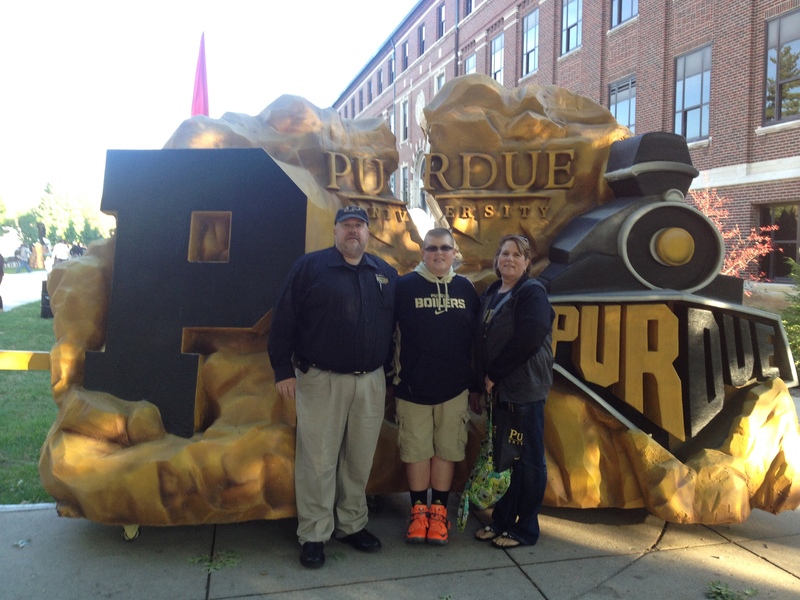 My wife, Hope and son, Heath enjoying Purdue’s 2013 Homecoming! I had the tremendous honor to be asked back to Purdue University this past Friday to be recognized by the Purdue University Animal Science Department. As many of you know my first Bachelor of Science Degree is in Animal Science. I have blogged about how I ended up in education before and the story is told again in this blog; as the reason is because of a Professor of Animal Science, Dr. Hobe Jones. It is such a privilege to be before you today to give reflections of my experience as a proud alumnus of the Purdue University Animal Science Department. When I consider all the outstanding individuals that have walked these halls it is very humbling to be before you. Really, today is very little about me, and a whole lot about an incredibly well designed, highly functioning department that teaches students to have a growth mindset and develop into all they can be. The success story is not mine, but that of the Purdue University Animal Science Department. Lately there has been a great deal of discussion about the importance of measuring a college’s “return on investment.” Is the point of a college education quantifiable results or personal and intellectual growth? Should colleges be preparing students for the work force, or be preparing them for lifelong learning? Quite frankly the answer is simply “Yes.” I believe universities are responsible for facilitating personal and intellectual growth. I also believe that being prepared for lifelong learning is crucial. Right now, data suggest that graduates will have three different professions during their lives. My life would support that data. Therefore, it is important that students are taught how to learn, how to find information, and how to work collaboratively across disciplines and cultures. Great universities, like Purdue, find a balance where students are free to form their long view of the world while at the same time acquiring the knowledge and skills to pursue a rewarding profession. College is for finding a calling, or many callings, including the calls of friendship and love. 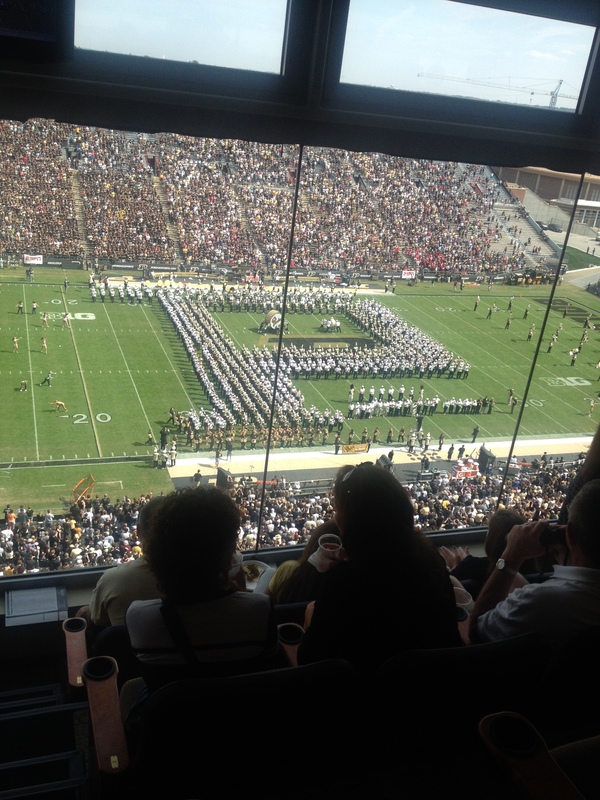 I would like to introduce one of the loves that I found while here, my wife Hope, who is also a proud Purdue graduate. In addition we have my son, Heath, who is everyday an inspiration and my niece, Autumn Brown. Let’s talk about this calling. 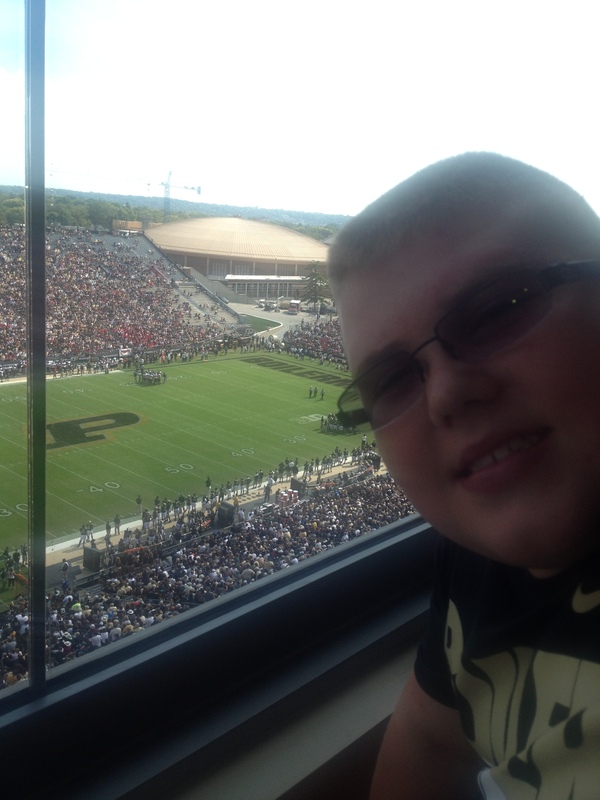 I came to Purdue as an Animal Science major with no intention of being in education. My teaching career did not begin with the same story that many teachers share. As a third generation teacher, I did not have an epiphany where I said to myself, “I want to be a teacher.” My journey as an educator began during my sophomore year when my Animal Science Professor and Academic Advisor Dr. Hobart Jones pulled me into his office and asked if I had ever considered teaching. When I said, “no,” Dr. Jones explained that he saw a talent in me for educating and wanted me to double major in Animal Science and Agricultural Education. His inspiration and personal interest helped me to deal with the challenges of a double major, making my 29-year career in education possible. Without Dr. Jones’ personal interest in my abilities, I probably would have missed this opportunity. It is his example of true caring that I strive to emulate every day of my career in education. It is said, “We teach like we were taught.” I believe this. I taught like my Animal Science professors – with rigor, relevance, and always building relationships. Just a couple of examples would be Tip Cline giving us a quiz every Friday and returning it on Monday with instant feedback for growth. Also, Hobe Jones always encouraging us to stop him if we had a question or needed further understanding. I can still here him saying, “Sing out now, if you have a question!” I could go on and on, but let’s suffice it to say that Purdue Animal Sciences gave me the life lessons for the career I now hold. As I said at the beginning, the success story is not mine, but that of the Purdue University Animal Science Department. Thank you for all you have done for me and those I serve, and for this tremendous honor. As you can can see the success story is not mine. Let’s strive every day to make someone else’s success story come true. Thank you Purdue University Animal Sciences!! !